Young Environmental Solutions—Indiana Termite Pest Control at its Best - Yes Pest Pros, Inc. Young Environmental Solutions—Indiana Termite Pest Control at its Best - Yes Pest Pros, Inc.
It’s finally spring and the bugs are literally coming out of the woodwork—or in the case of termites—boring their way into the woodwork. Termites are one of the most damaging and hard to control pests that can invade your home partly because they are so hard to identify. Commonly mistaken for ants, many homeowners try self-treatment and then wait to see if it’s effective. The problem is that while they’re waiting, the termites are dining! Damages to a home can run to thousands of dollars, and the longer the homeowner waits, the more the whole process will end up costing. Termite pest control happens to be a specialty of Young Environmental Solutions. Their technicians are trained to identify termites, trace them to their nests, and provide a solution to rid your home of these obnoxious pests. During their initial free inspection, the licensed technician will point out problem areas and talk to you about the right solution for your property. Young Environmental Solutions is a top rated family owned and operated company that has been in business since 1983. Serving the Bloomington, South Bend, Elkhart, and Granger areas of Indiana, the company is highly regarded by the local residents. Since the company was founded, they have worked hard to build a stellar reputation for exceptional customer service, state of the art professional technology and products, and environmentally responsible pest control. YES Pest Pros wants to provide environmentally responsible pest control solutions that are effective and affordable for their clients. They offer a coupon good for a $50 discount on their website at http://ypp.federatedinteractive.com. They also offer the convenient option of securely paying your bill online. YES Pest Pros has been named a Quality-Pro company by the National Pest Management Association; a title is only bestowed on companies that meet the high standards the NPMA has set for environmental responsibility in pest control. Young Environmental Solutions has also earned the Consumers’ Choice Award for Business Excellence and they consistently maintain a top rating with the Better Business Bureau. 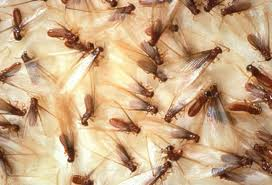 If you suspect you have a termite pest control problem, contant YES Pest Pros. YES will use the latest methods and technology to stop the termites at the source so they do not keep coming back.